It's time to start that quilt I've been thinking about for the past several months. This one is for my bedroom which needs a little injection of color if you ask me. 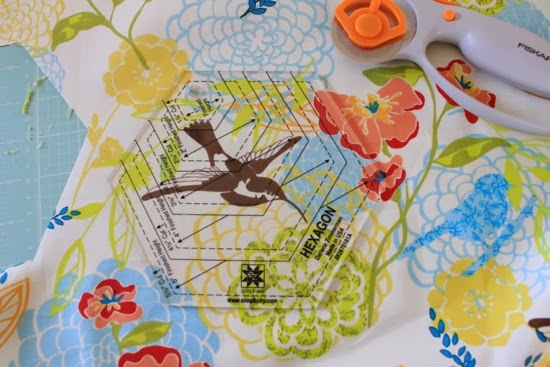 I'm picturing a quilt with a lot of negative white space and a few splashes of the colors you see in that bird print: yellow, blue, green and coral. 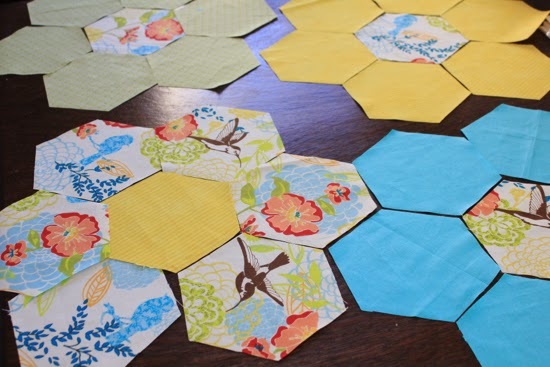 I have at least one more trip to the fabric store ahead, but I've decided to go ahead and start cutting hexagon pieces a few at a time. This is going to be a large quilt made up of a lot of hexagons. Definitely wouldn't want to tackle this project with out a rotary cutter and hexagon ruler. The see-through ruler is especially useful for doing fussy cuts. 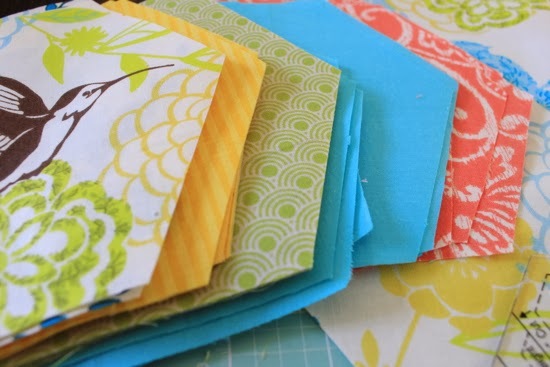 I'm still working out the pattern and I'll probably change my mind a few more times before I start sewing, but I'm so excited to see how this cheerful patchwork of colors will brighten up the bedroom. So did you start that quilt yet? Ha! ha! It'll be a while before I finish this one. I meant to do that before things got busy, but didn't happen. Oh well!